PPC (Pay-Per-Click) advertising is the most accountable form of online advertising. You can set an exact budget and only pay when a visitor clicks on your ad. 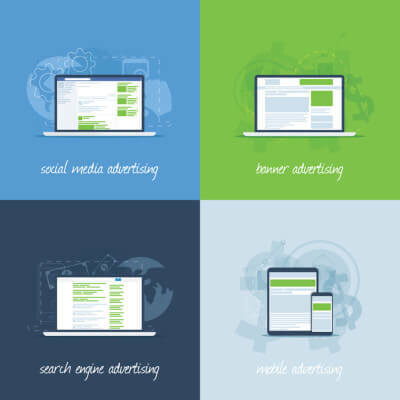 Paid advertising can also include remarketing options and mobile ads. PPC allows you to select the time you want to promote your service or seasonal variations. PPC allows you to focus on GEO targeted area to increase your business in specific location. If you already have an existing PPC account, we will start with a Pay Per Click analysis. We’ll review what you’ve done in the past and give you actionable recommendations for improving your performance. Larger campaigns require on-going management, testing and optimization and our PPC management fees can range from 9% of a client’s spend to 15%. For clients utilizing us for PPC management, we handle it all—from keyword discovery to bid management; from ad copy creation to ad split testing; from pay per click call tracking to landing page optimization; we take care of everything and report the results to you monthly. If you’ve been managing your own PPC campaigns, give us a try for 3 months. If we are using Marketing Automation for your campaign we can integrate the PPC campaign and allow us to refine the Pay Per Click strategy. Call us at 727-858-4173 or get a FREE PPC Analysis.